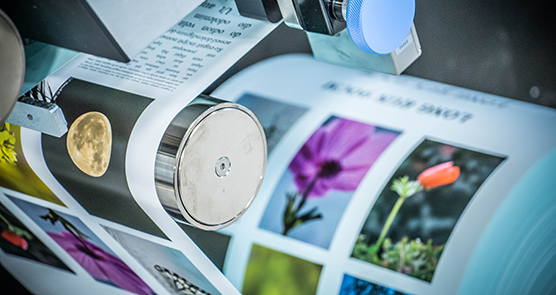 RIT’s HP Indigo Overprint Varnish Performance Program enables manufacturers, suppliers and HP Indigo digital press owners to have both waterbase and UV coatings evaluated with HP Indigo digital certified media. The OPV Performance procedure incorporates several tests in accordance with the stated protective uses for the coatings. As an initial screen test, the OPV will be applied to a certified printed media. The OPV will be evaluated for adhesion to the HP Indigo ink and visible orange peeling or mottling. After passing the initial screen test, the coating will be applied to specific test targets for evaluation of chemical and physical properties. Once completed, a comprehensive report is then generated for each OPV/substrate combination and given to the supplier. Scheduling depends on facility availability. Attempts will be made to accommodate all scheduling needs. All OPV samples to be provided in an approved shipping container. One gallon (4 liters) is required for each OPV/substrate combination selected. All OPV samples must be shipped with an accompanying MSDS. The shipment will not be accepted if no MSDS is provided. For more information on OPV, download the program announcement and data sheet/order form here.